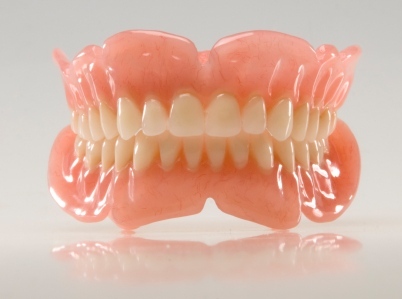 Immediate Full Dentures - Prior to having your teeth removed, your dentist takes measurements and has dentures fitted for your mouth. After removing the teeth, the dentures are immediately placed in your mouth. The benefit is that you do not have to spend any time without teeth. You will, however, need to have a follow-up visit to refit your dentures because the jaw bone will slightly change shape as your mouth heels. The dentures will need to be tightened after the jaw bone has healed.